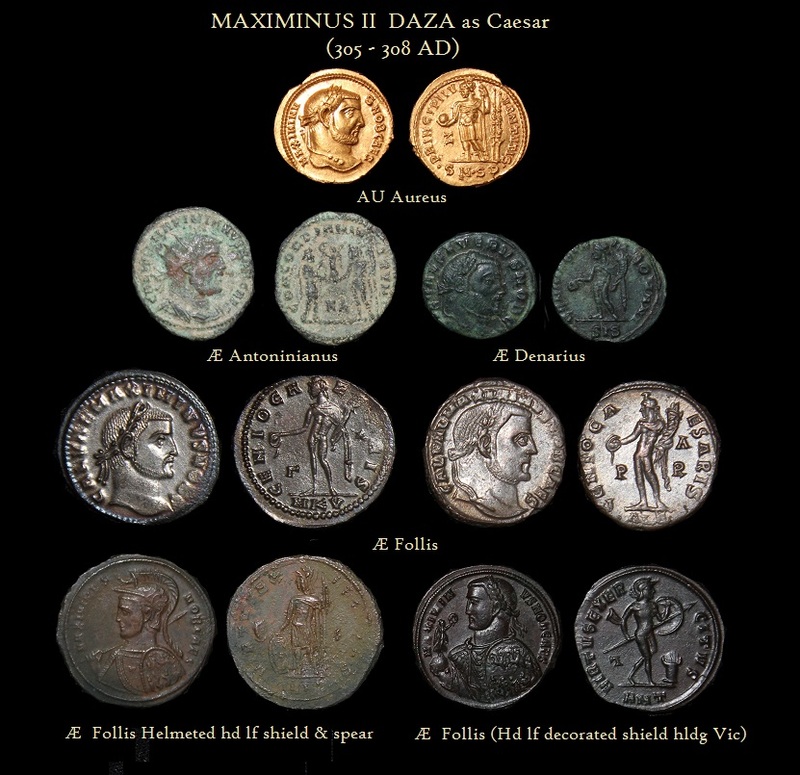 Galerius Valerius Maximinus II was a young nephew of the Emperor Galerius, who clearly helped him along with the intension of one day becoming his heir. 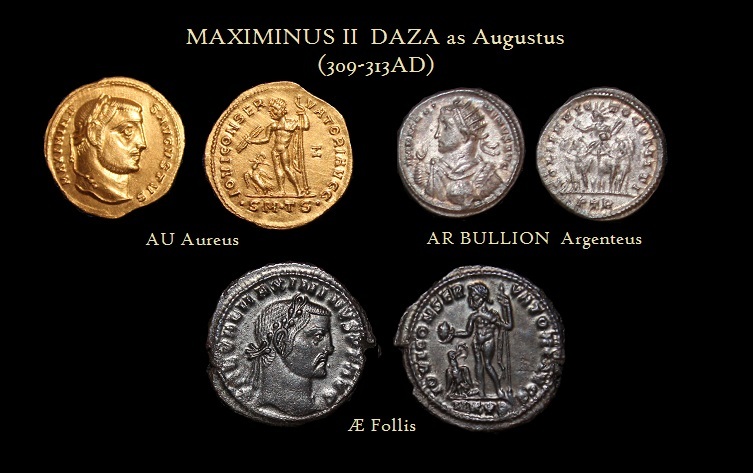 In 305 AD, Diocletian and Maximianus retired from public officie laying down their ranks as Augustus. Their successors under the Tetrarchy system were Galerius and Constantius I Chlorus. 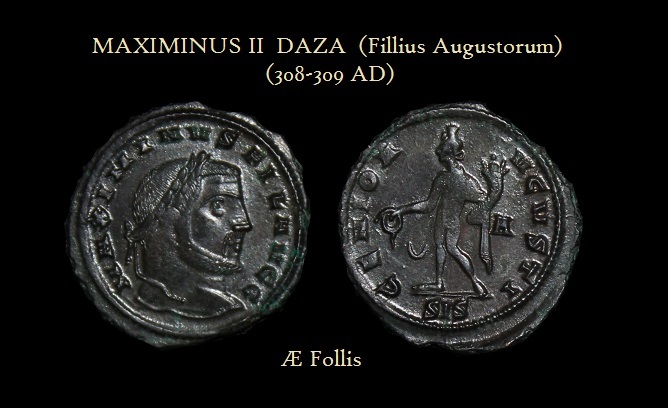 Galerius immediately chose Maximinus II to be raised to the rank of Caesar in the East thus designating him as his ultimate heir. Thus, Maximinus II became the designated ruler of Egypt, Syria and much of the Eastern Empire, while Galerius maintained Asia Minor – and other Eastern provinces. Between 306 and 310, Maximinus II ruled his region of the Empire through some very turbulent years. In 308 AD, the Conference of Carnuntum proved to be a great disappointment to him after expecting to be raised to the rank of Augustus. In 310 AD, a bitter and disappointed Maximinus II allowed his troops to proclaim him Augustus. Maximinus‘ assumption of the title Augustus in 310 AD combined with the taking of Italy by the usurper in the West, Maxentius, Diocleatian’s dream of the tetrarchy system began to collapse. War broke out among rival claimants following Galerius’ untimely death in 311 AD. In an attempt to lay claim to his assumption of the role of Augustus over the Eastern portion of the empire, Maximinus II marched into Thrace, seizing a portion of the province. This action left Licinius with little choice and at first an attempt to negotiate was made. Licinius gained the goodwill of Constantine the Great, who perhaps looked to Licinius as taking out a potential rival in the long-term scheme of things. But the situation would not last for long. Maximinus II had been a anti-Christian supporting and enjoying the persecutions under his rule . During his time as Caesar, Maximinus went out of his way to persecute Christians and had attempted to force Paganism upon his subjects. 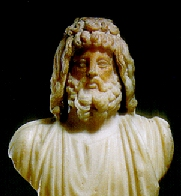 He himself was a follower of the cult of Serapis and issued a series of Pegan coinage in an attempt to re-establish this religion. However, when Maxentius was defeated by Constantine, Maximinus had little choice but to comply with the changes of religious tolerance as part of the negotiations. Maximinus’ position in the East was further complicated when famine struck in 313 AD, which in turn unleashed a major economic depression, financial panic and chaos throughout most of the region. This can be seen even today in the debasement of the once silver argentius to the point that it appeared mostly bronze once again washed with a thin silver coating. With financial pressures building, Maximinus needed an external enemy and he chose this desperate moment to invade Thrace with a force of 70,000 men. Licinius had little choice and he met this threat in the battle at Campus Serenus (Tziral lum). Despite the fact that Licinius was outnumbered, his army was better equip and ready for battle. 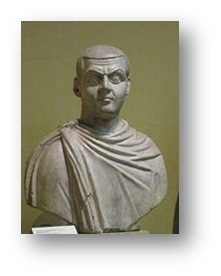 Licinius succeeded in routing Maximinus’s troops and he fled back to Asia Minor. The defeated Maximinus died soon thereafter from fever.